Donna is a Partner in Piper Alderman's Private Client Services practice with significant experience in the area of estate and succession planning, wills and estates. 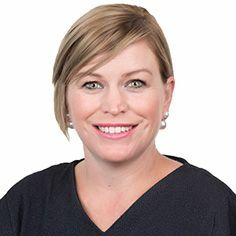 Her expertise includes advising upon and developing estate and succession plans for individuals and businesses and advice, interpretation and drafting of wills and agreements. Donna also advises directors and trustees on fiduciary and trust issues and business structuring. She has experience advising on self managed superannuation funds, the identification of taxation issues and the administration and contesting of deceased estates. Donna is a full member of the Society of Trust and Estate Practitioners (STEP), the leading worldwide professional body for practitioners in the field of trusts, estates and related issues. Full members of STEP are the most experienced and senior practitioners in the field of trusts and estates. She is also a branch committee member of STEP South Australia.